Patient Safety, and Patient Service. Models of private practice are defined in this article by a dentist’s relationship with third party insurance. A model is determined by the percentage of treatment a doctor is providing under contracted insurance. If a dentist has no direct contracts with any dental benefit company and only processes insurance via “indemnity” relationships, this is an Insurance Independent model and in my experience exists in approximately 10% of California practices. The remaining 90% of California practices have contracts that demand fee reductions for individual services (PPO) and/or contracts that pay a doctor a fixed periodic rate for taking care of patients’ dental needs (HMO). HMO plans are often referred to as “capitation” plans. Practices that are pure PPO or HMO are rare, if they exist at all. It is likely that all private practices have at least some “cash” patients. A practice that obtains a portion of its patients through insurance contracts is sometimes called a “hybrid” practice. Model 1: Hybrid – 2/3 UCR, 1/3 PPO. This has been a typical model in many areas of California. Years ago, it was not uncommon for a dentist utilizing this model to have one fee schedule. It was common for “UCR” fees to be the same as those demanded by the dental insurance contract. Today, it is more common for dentists to have multiple fee schedules: one for each PPO and one for their non-contracted patients. Model 2: Hybrid – 1/3 UCR, 2/3 PPO. One ADA survey showed that, nationally, 40% of private practice dentists have three or more PPO contracts. Model 3: Hybrid – 1/4 or less UCR, 3/4 or more PPO and/or HMO. This model is more common in urban areas with greater population densities. Model 4: Pure UCR Practices utilizing this model have one fee schedule. Most still process insurance on patients’ behalf and take assignment of benefits when possible. The trend in recent years has likely been toward a decrease in the percentage of Model 1 practices, and an increase in Model 2 and Model 3 practices. There has likely been little change in the percentage of Model 4 practices. All of this has been due, at least in part, to changes in the dental benefits marketplace. Premier plans have become less common in the California market while PPO, a lower fee product, has become more common. In general, the greater the proportion of PPO-HMO dentistry in a practice, the more production is necessary to achieve a given level of profit, and the less time is available for patient examinations, treatment planning, and case presentations. Managed care patients are usually treated for lower fees than indemnity or cash patients. For a practice that treats managed care patients to match a level of net profitability achieved by a pure fee for service practice, more patients have to be treated per unit of time, more staff will be needed, and more supplies will be used. Each private practice model has its commensurate strengths and weaknesses. Once a model is in place, however, there is usually significant risk and strategic planning involved in switching to a different model. In my experience, most dentists let a practice model choose them. It is far better for a dentist/owner to strategically choose his/her model as part of the practice vision creation process. Utilizing this method, the practice model becomes one of the many chosen elements on a doctor’s path to fulfillment in private practice. Dr. Michael Perry is currently the Director of Practice Management at the California Dental Association. Published with permission from the CDA. It is not too late to register for the Annual Meeting to be held in San Francisco, June 18 to 21, 2015 at the Moscone West Convention Center; registration closes on June 11th. There is still space available in some of the more popular courses. For example, like Dr. Henry Gremillion’s head and neck anatomy lecture course with the optional fresh cadaver hands on dissection to be held at the fabulous new UOP School of Dentistry. You also won’t want to miss Dr. Steve Buchanan’s lecture and hands-on endodontic participation course. Working on your Mastership? We have those tough to get units in pediatric dentistry, special care dentistry and orthodontics. Get certified in Invisalign or learn strategies to grow your Invisalign practice. Bring your staff to San Francisco as we have a practice management track with programs designed to enhance the skills of your whole team! 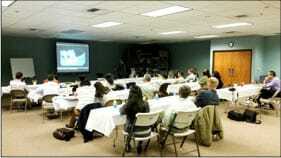 The mandatory California Dental Law and Infection Control courses will also be offered for your convenience. Finally, looking for advanced education in implantology? We have added a live implant surgery course and several hands-on courses with some of the leaders in implant dentistry for this year’s annual meeting. 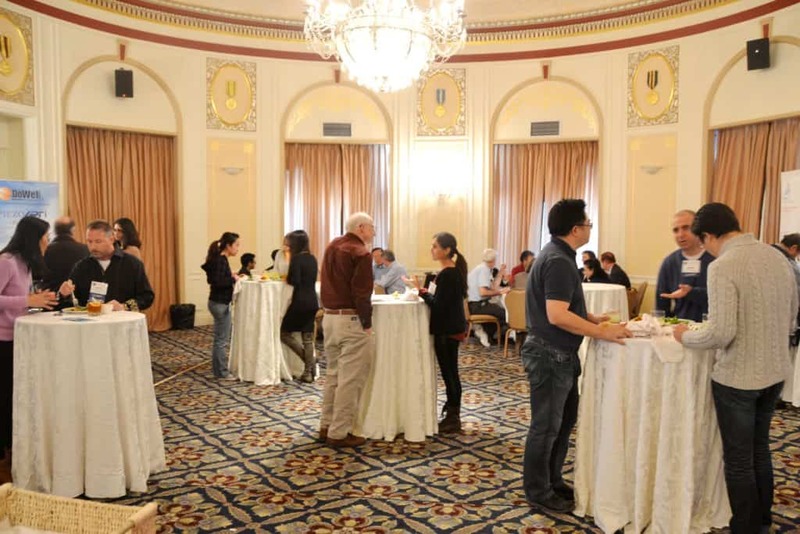 Come experience the camradarie and fun in San Francisco with your AGD colleagues. Hope to see you there! From OSHA to Patient Safety and everything in between, why dental offices fail regulatory inspections is mainly due to the lack of employee training. Here is a common scenario: employees come to work and do their jobs. However, if they are not engaged in active learning outside of work, which will help them stay current in their career, they become trapped in the daily routine mindset. This means they become more outdated as the profession changes. It won’t be long with this scenario, for a dental office to fall well below the minimum compliance requirements, resulting in the workplace becoming unsafe for both employees and patients. Employers must keep this in mind – 82% of the tasks needed to run their business successfully is the responsibility of the employees. In other words, employees have a greater impact, good or bad, on the day-to-day operation and over all successes of the business, more than the employer. Every year, take a look at your office policies and procedures, especially the sections that deal with employee safety, patient safety and patient service. Revise based on new changes and then introduce the changes to your team in a training session. The value of policies and procedures is when employees know them, adhere to them and management enforces them. I know, nobody wants to be a bad boss, but without application and enforcement, policies and procedure are worthless. Posting a copy of regulations on a wall does not make employees or the business compliant; it takes the obtainment and the application of knowledge. This means employees must know the requirements and do what is required as the minimum. Employees should read and review regulatory requirements yearly or when new changes are made, whichever occurs first. Don’t assume new hires will do exactly what you expect them to do. Take the first ten days of their employment and assign an experienced employee to them as a mentor and observer. Putting the time in the beginning will pay off in the end. Make it mandatory that employees read the labels on products before using them. This should be a no-brainer; instead, this is one of the most common violations found during inspections. Reading labels before using the product reduces risks and injuries while improving results. Employees should know everything about their Personal Protective Equipment, especially the fitting and limitations. Most manufacturers provide information and instructions on the proper use of the PPE; this ensures maximum safety for the employee. All employees are members of the team. Therefore, all team members must attend meetings and training sessions. It is impossible to move the business to higher standards without the full support of the team. Communication is the glue that holds standards and results together. The more you and your employees communicate, the stronger the team will be. Commit to morning huddles and weekly power meetings, encourage critical focus on employee safety, patient safety and patient service. Look at employee training as an investment with endless returns. Well-trained employees have a huge effect on all facets of the business, including generating revenue, increasing profitability and reducing risk. The strength of the AGD as an organization lies in the richness of its resources within its own community. 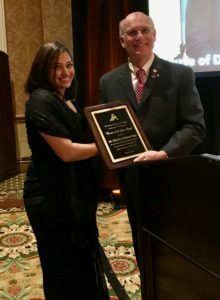 When Dr. Ashkan Alizadeh, in private practice in Sacramento, was asked to present to his local AGD component, he responded with excitement, “I love doing these kinds of things”. Dr. Alizadeh joined the California AGD Master Track program in October of 2010 and is scheduled to receive his mastership award at the AGD national meeting in San Francisco in June 2015. 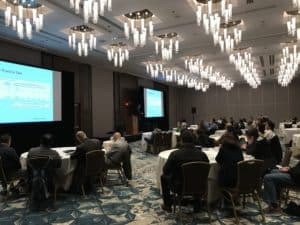 The California AGD Master Track program requires its participants to combine lecture material and work done in their offices to prepare presentations for the group and the instructor. 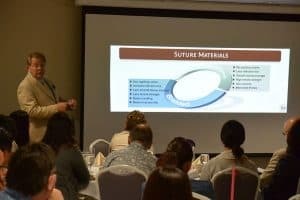 The dental skills, presentation skills, and the confidence gained during the Master Track program were evident during Dr. Alizadeh’s presentation. Dr. Alizadeh, a mastership candidate, shares his endodontic techniques with fellow general dentists in Sacramento. Dentists, by nature, are very critical of their own work and others too. Standing up in front of a group of dentists and sharing one’s own successes and challenges are known not to be simple tasks. With many presentations already prepared during Master Track, Dr. Alizadeh is looking forward to sharing the knowledge he acquired during Master Track with fellow general dentists at future meetings. Imagine the wealth of knowledge that lies on the tips of our fingers! The GP News features clinical articles, upcoming and past CE course details, advocacy updates, news and events of the CAGD, local components, and student fellowship tracks at all California dental schools.